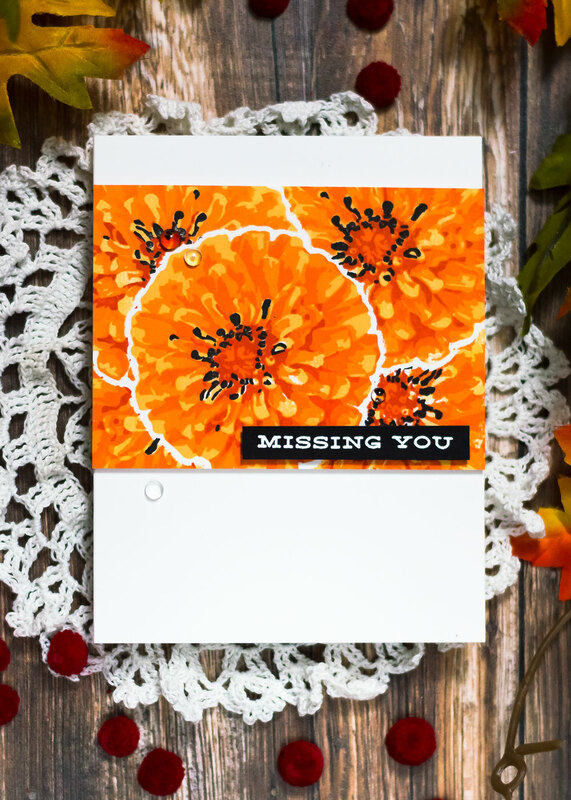 Today I’m sharing a simple, almost one-layer, fall card featuring the Build-A-Flower: Flourishing Zinnia and a lazy masking technique. First, let me make one disclaimer. The masking technique I was using here is lazy, but the card itself is not really. 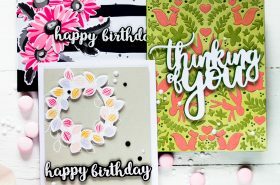 Simply because it involved layered stamping of 5 layers and this task is always a bit time-consuming. 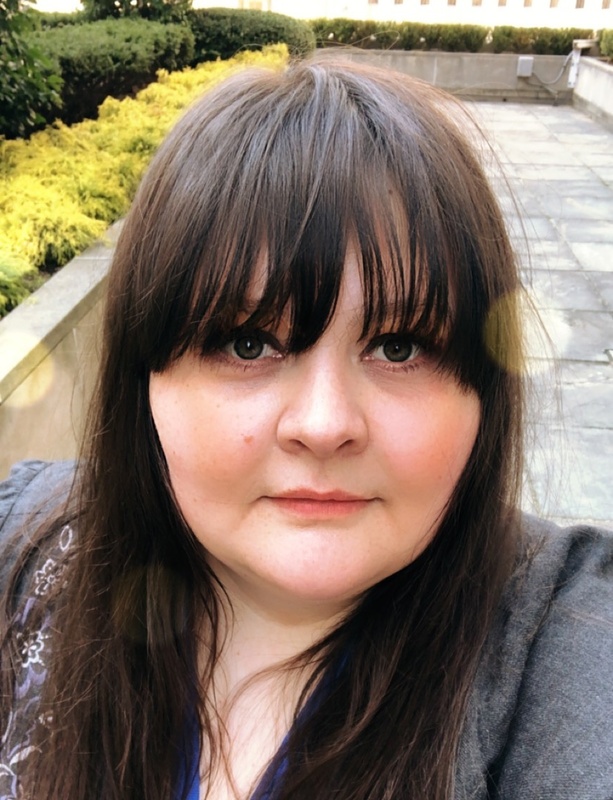 With that being said – for me personally, it wasn’t an issue. First of all, I love stamping. 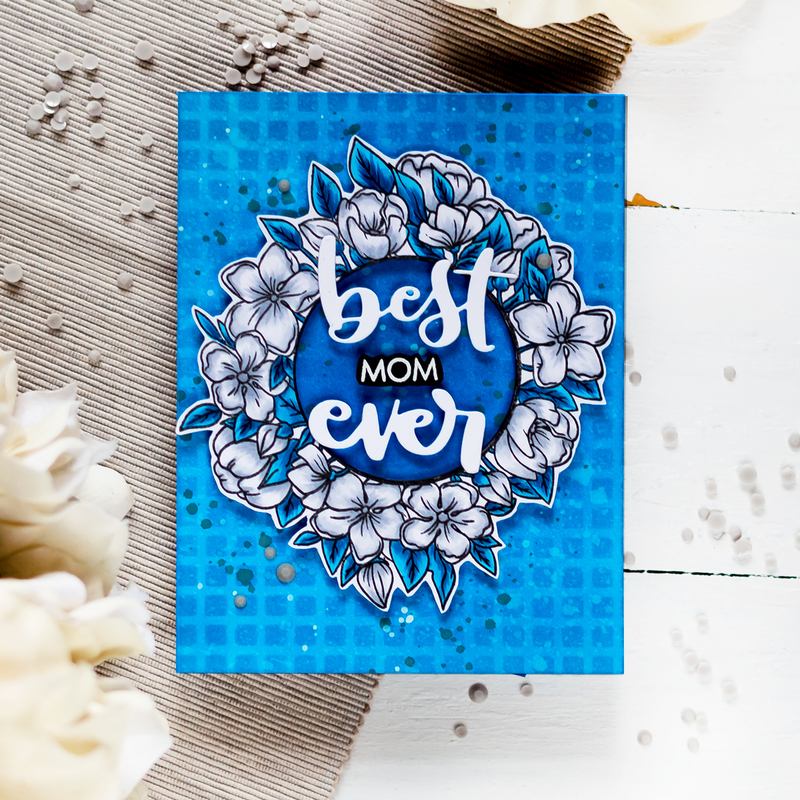 And layered stamping has a special sweet spot in my heart. 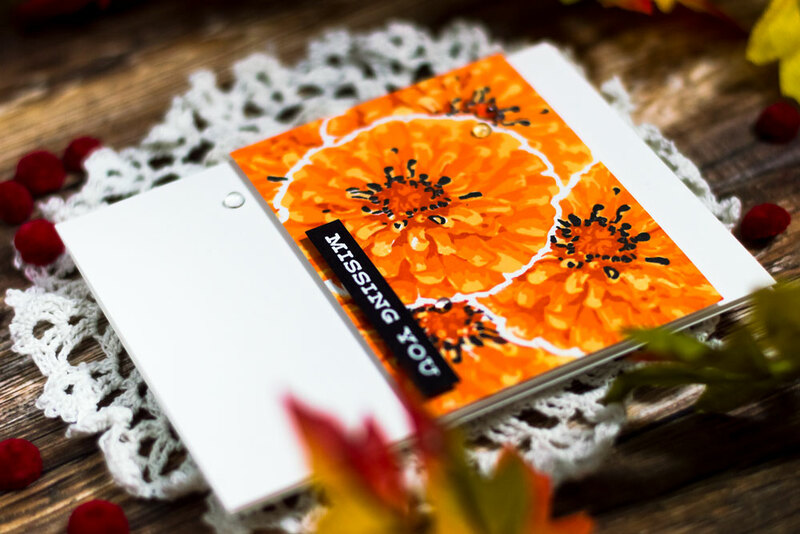 It such a pleasure to open a MISTI lid after stamping each layer and reveal the beauty of layered stamping. 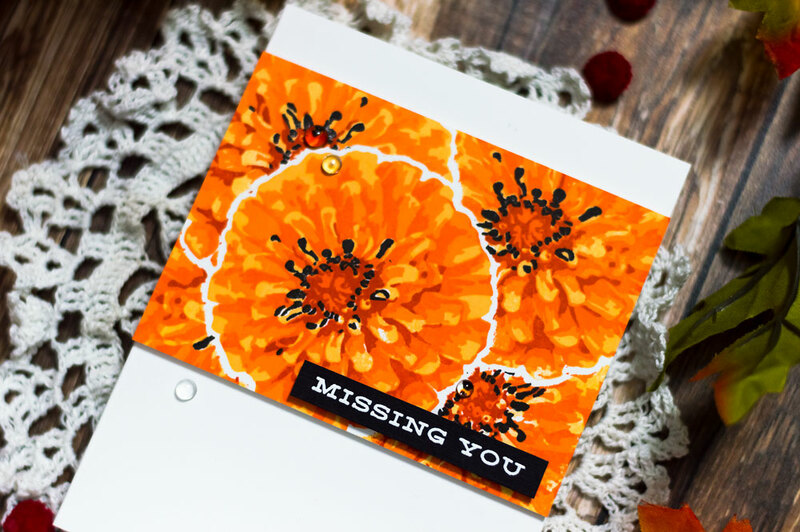 I only stamped the flowers from the set and I used orange dye inks from the Warm & Cozy Set to stamp them. I stamped the first flower onto a Solar White panel using the mentioned inks. Then I made a die-cut out of a masking paper using the matching die from the set. I placed the negative die-cut of the masking paper on top of the flower and used it as a guide to apply the mask onto the flower. As the mask is a bit bigger than the stamped image it can be tricky to apply it perfectly centered, so to speak, along the stamped flower, since you don’t see what is underneath. After applying the mask, I stamped another flower. Then applied a mask on top of it and stamped the next flower. For this card, I only used two masks, as I was moving one mask from one flower to another. You can see in the video below what I mean. After that, I trimmed the panel to 3” height and foam-mounted onto a white card base. Lastly, I popped a sentiment, white-embossed on black, and added several clear droplets. 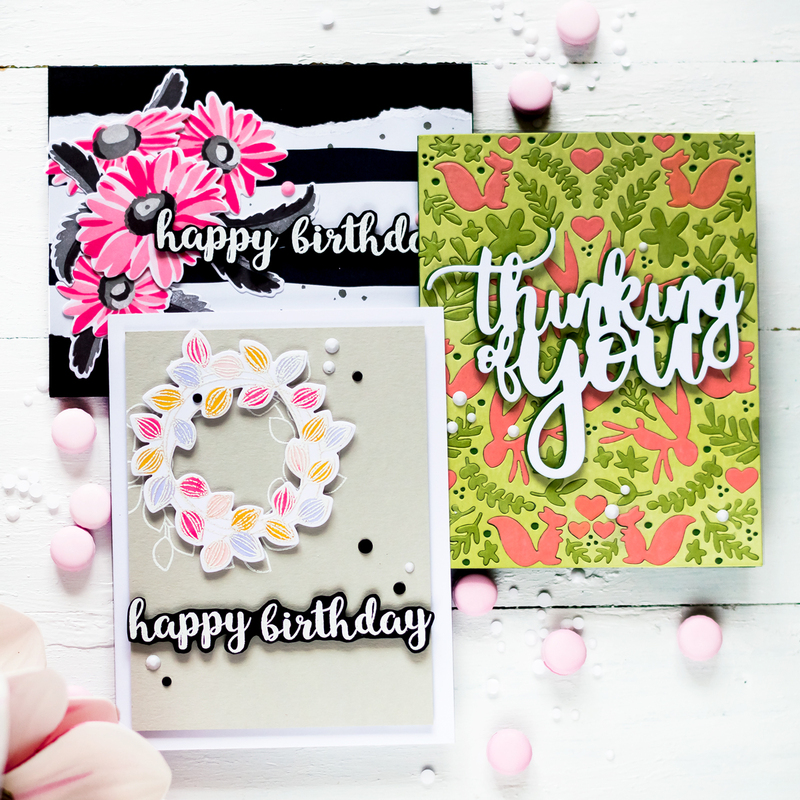 I needed masking in general as I wanted to create a continuous stamping of the floral pattern. And there were two reasons I decided to go with the lazy masking (by the way – I call it lazy as the mask was die-cut, not fussy cut). First of all, because it’s lazy (of course). 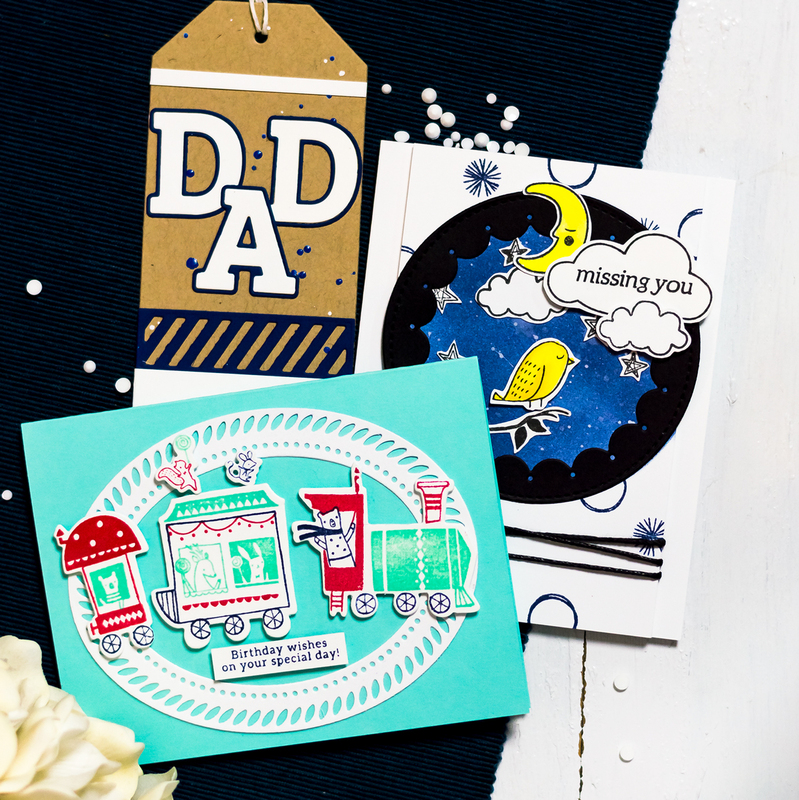 With the time spent on layered stamping, saving it in the masking sector is big. And also, I wanted to have this white border around the flowers to kind of differentiate one from another. 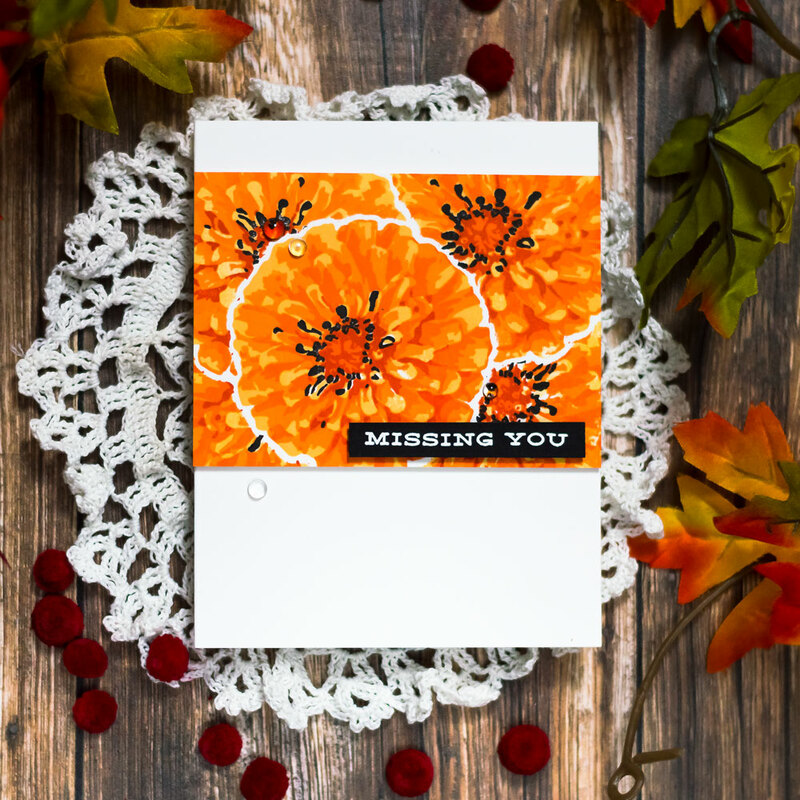 This set doesn’t have an outline stamp and without it, the flowers stamped one “behind” another would blend together as one piece. Which would be beautiful too (look at this flower – it cannot be not beautiful). But in this case, I wanted to have some borders. 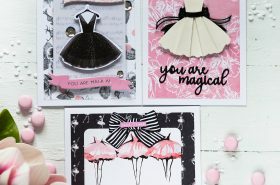 This technique can be used to make a background as big as you want. It will just take more time of course. And this design can be implemented in a one-layer card too. 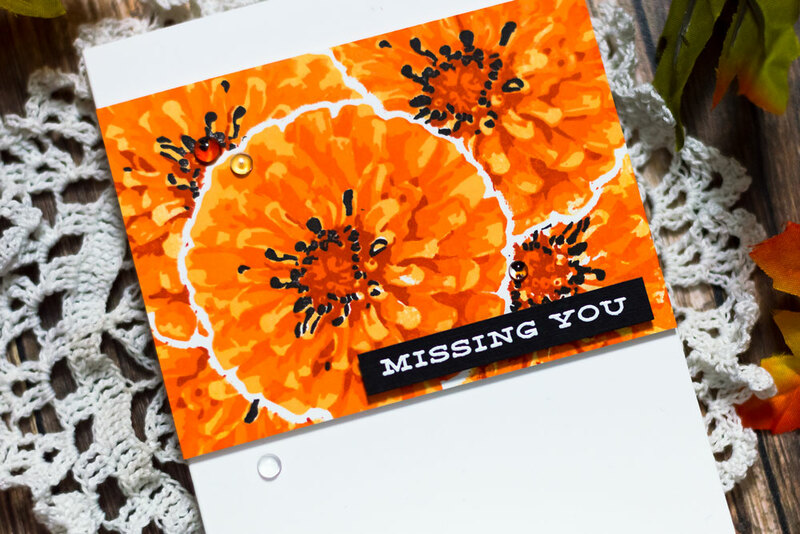 You just would need to mask off the area above and below the stamping with a masking tape. 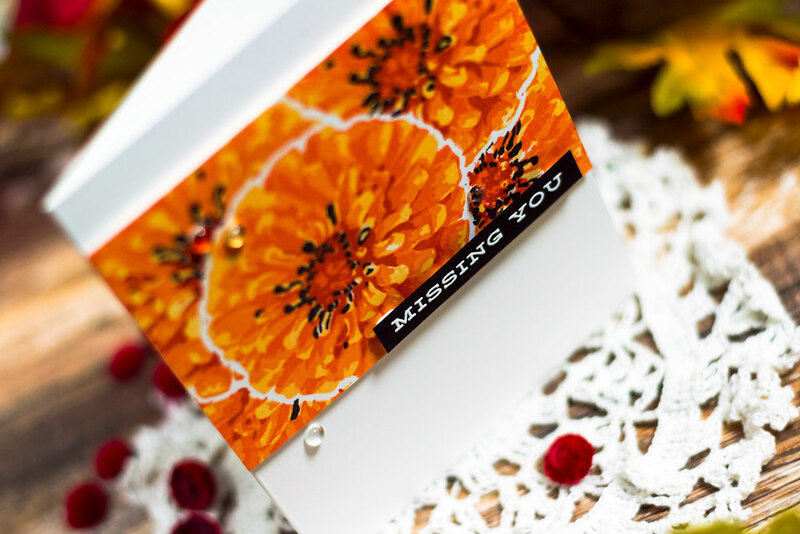 Or you can stamp the pattern and die-cut a sentiment out of it and make two cards at once. 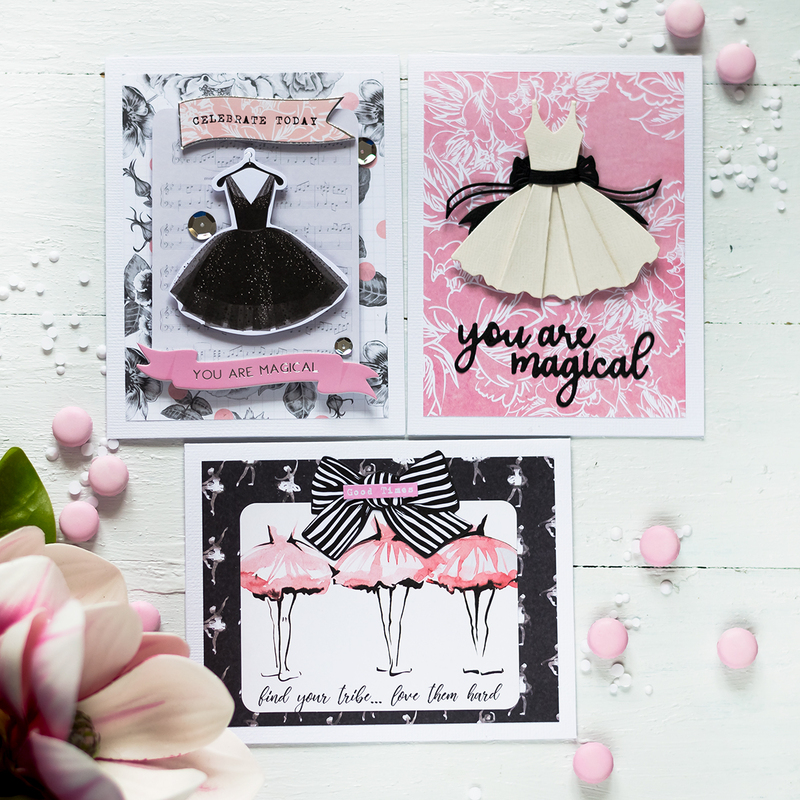 You can check the video to see in action how this card was made.